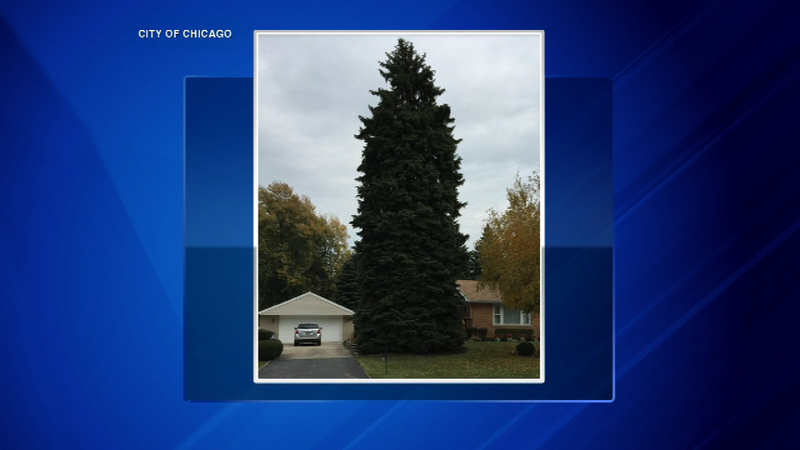 This year's tree for the City of Chicago is a 63-foot tall Colorado Bruce, donated by the Voelker family in Northlake. CHICAGO (WLS) -- A well-known singer will help ring in the holiday season at the tree-lighting ceremony in Millennium Park. Renee Fleming will headline the free event on Tuesday November 24 at 5:30 p.m. This year's 63-foot tall Colorado Bruce, donated by the Voelker family in Northlake. This is the first year the official city Christmas tree is at Millennium Park and not at Daley Plaza.